Much of the talk when someone is enquiring about a hair transplant revolves around the topic of density, how many FU per cm2 will be placed in the hair line and behind, will it be natural, and will it be thick. Of course this is a relevant question but possibly too much emphasis is placed on this and other factors that make up the result are forgotten about; such as hair characteristics and one rarely discussed; the number of hairs per follicular unit. There is always a mean number and some say there are more hairs per FU with FUE or Strip/FUT but the fact remains if an intact is removed it will average whatever the person has, and generally it works to approx. 2.2/3 hairs per FU. This is not necessarily the natural average but normally the extracted average, hence being able to easily calculate it. And this can vary dependent on the procedure and the placement, hair line requiring more single hairs so the number drops whereas if the placement was behind a hair line with mainly multiple hairs the number increases. FUE and FUT/Strip both rely on the number of grafts placed to give a result, but more importantly is the number of hairs per follicular unit because this can make a large difference in the result; this is the distribution of hair. The placement of the FU in a skilled and artistic manner will get the most thickness and coverage to assimilate a head of hair. Depending how the FU are extracted with FUE will determine whether a true  FU is removed and this will be a large factor in the result. For example if an FU is removed intact be it one hair or a multiple FU up to 4 hairs then the hairs per graft will reflect this in the % split. A number of factors can attribute to the number of hairs per graft, for example incorrect extraction could lead to removing more than one FU or transecting an FU; this can either mean larger grafts or if transacted could mean more grafts are created accidently but the hair count is greatly reduced per graft. This is important to understand as the distribution of FU decides the result; as most realise, a hair line will typically take 600-800 SINGLE hair FU and if there is temple point rebuild this can be over 1000. Behind the hair line a gradual increase needs to be created from 2 to 3 to 4 hair FU. BUT if a greater number of single hairs are placed then this will impair the distribution, so a larger number with lower thickness  in a smaller area. You may be able to place a density of single hairs at 90 FUcm2 behind a hair line, but the actual THICKNESS will be less than three hair FU placed with a low density of 35 FUcm2; almost a third density placed but more hairs and more importantly more thickness. DISTIBUTION of intact FU= results, the number of grafts is relative to the number of hairs, if there is not a balanced distribution of hairs the appropriate placement will not equal the density and coverage required to achieve what probably everyone would aspires to in a hair transplant. Follicular Unit Numbers: 1 hair 704; 2 hair 765; 3 hair 689 & 4 hair 358 A total around 6000 hairs, all in their natural groupings allowing for the educated distribution to gain a solid result. Then take a 4000 case with an almost even split of single and two hair follicular units with a few three s; reaching approx. 6700 actual hairs. 1500 more grafts but only 700 more hairs. Naturally some people have smaller hair numbers (groupings) per FU and in some cases this may render them not suitable for a hair transplant; or possibly transection when punching may cause the FU to be split into a smaller hair group, either way it must be recognised that graft numbers are only relative to the hair count and the distribution of the FU when being placed. Either way, be it natural small groups or transacted it can lead to a sub standard result and so when calculating density for example in the donor area the hair count should also be considered as a major factor. Well said. This is something I like to stress to patients. It's not the graft count but the haircount that is a HUGE factor. Thanks for the write up, phil. I personally like to see a clinic provide a graft/hair breakdown so the patient knows exactly what they got. Transparency is upmost in my opinion. One thing i forgot to mention is if a clinic splits your grafts,do they charge you extra as you are getting more grafts. i.e A 3 hair graft placed may cost $5,if its split into 3 x 1 hair grafts are you charged 3 x $5 for them. Just something you should ask when doing a consult/research imo. There seems to be a multitude of different pricing structures. From what I can gather, majority of patients seem to get just the graft count and pay according to how many grafts they get. I also don't think most clinics will say they split grafts intentionally. And if you don't get the hair count, how do you know if they do or don't? There is a judgement call when dissecting grafts to keep 2, 3, 4 hair grafts intact or split them if there are any spacings at all. What was your lowest hair/graft count in your clinic ? You mean hair to graft count ratio? Or the smallest session we've done? I know on certain patients they have less hair to graft count - I've seen as low as 1.5 hairs as an average hair count. The average is slightly over 2 hairs. So whatever your graft count, your hair count should be just over double that. I think it would be a good idea for clinics to give the patient a copy of their HT data with the post op instructions,this way the patient knows exactly what they got for their money. I was given arounf 2550 grafts which I was told resulted in around 5000 hairs.... In my opinion hair count is more important than grafts.... maybe I am wrong about this ??? You are not alone understanding hairs/grafts, it can drastically alter the result even if the yield is good. As a matter of course all our patients receive their hair count per FU and we explain what impact this will have on the result, be it a small hair line design to a larger NW4 plus coverage it is very important. I am surprised it is not a bigger issue for you patients and you do not push more for the clinic to give you the figures, cannot understand why the better known clinics do not if they are not "playing" with the numbers because it will help to stop the lesser known clinics getting away with calling a graft and graft and you assuming this is an intact FU or that you expect a certain result when it is not achievable with your hair groupings. It can only be good for all if there was more transparency. #2 To prove clinics had an inordinate # of 1-2 hair grafts that did not occur naturally. Again, clinics that continue to use predominately old bulky grafts, not microscopically dissected, hardly loupe dissected and using large incisions and very low density passes do the industry a disservice--oh yeah--it usually creates a problem for the patient. For clinics that graft split--- fine with me....just make sure your disclosing the practice and cost to the patient. So do the sessions cost the same? If both doctors are highly skilled and produce excellent results, which session would be more attractive? Thanks for you comments... I have to agree... it seems a big issue that is not readily discussed.... time and time again I read patients posts regarding a planned HT... yet the only thing mentioned will be how many grafts they are going to have... not a hair count. I would assume that this is impossible to tell until after a procedure as the number of 1,2,3 etc etc grafts would be hard to see until they are "cut out" and on the table ?? It is impossible to know the final hair to graft count for sure, more so with Strip than FUE because the doc is counting his extractions with FUE and the hairs per unit as he goes. 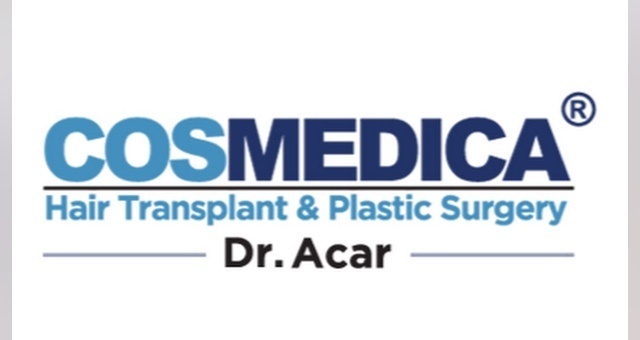 But if a decent assessment of the donor area is made before the procedure the doc will have a good idea of the hair to graft ratio he is going to get and this is important to the overall result and can be part of the pre op consultation with the patient. For example a guy with a higher % of 2 hair FU compared to 3-4 hair FU is going to get a different result with the same grafts placed and this needs to be explained before the op. and ideally should be part of the decision making process if possible. The approach will have to be different and the distribution of the grafts will be different; we all look at results on the net and balance the coverage of 2,3, and 4000 grafts can give us but never assume your hair characteristics will give the same coverage or thickness, you may get more, or less. Again, thanks for the info..
Great posts everyone and a great topic. As i have said somewhere on here,it would be great if all the doctors gave the patient a hair/graft breakdown so they know exactly what they are getting.